Tonight Dr. Morbius (from parts unknown) and mOw go over the movies they watched this week. Then the team like went all FAR OUT MAN, far far out to the wacky wild 60s. First the team put on their wacky glasses and watched the first installment of Billy Jack. After that they like took it down man, you know FOR KICKS with the Mondo Mod movie. Did the team time travel back to a better time, or did the brief stop to the 60s remind them that better times were coming? Tune in to find out! Only time will tell! laugh, learn and love won’t you? thank you. Slow Robot A Go-Go Show 176 – Tarzana AND Tarzoon… basically tons of jungle! Tonight Dr. Morbius (from parts unknown) and mOw go over the movies they watched this week. Dr. Morbius declared his hatred for any movies made in the past decade or two. Then the team hopped on a flight to the African jungle. First they were seeking out Tarzana the wild woman. After that they either licked a bad toad or someone dosed them because they took a long strange trip into a very dated and odd jungle in search of Tarzoon. Will the Slow Robot team make it back alive? Will mOw ever look at another stock footage laden jungle film again? Only time will tell! laugh, learn and love won’t you? thank you. Tonight Dr. Morbius (from parts unknown), mOw AND Special Guest Star Oliver Klozovv go over the movies they watched this week then got to it. The team also tried a This Or That game that ended with one round of mixed results. But never fear, our team shook off the defeat and went head first into this weeks movies. First up was a Hal Needham made for TV classic starring a big stupid fiddle playing van. It had some other people too. After that trip down “Memory lane” they went back in time to goofy little movie that shaped the lives of Bruce Campbell (one of mOw’s all time heros) and Sam Raimi. laugh, learn and love won’t you? thank you. Tonight Dr. Morbius (from parts unknown) and mOw go over the movies they watched this week then got to it. The team gets stranded on a desert isle for a 3 hour tour with a nazi, a pilot, a mary ann clone and a drunk actress. 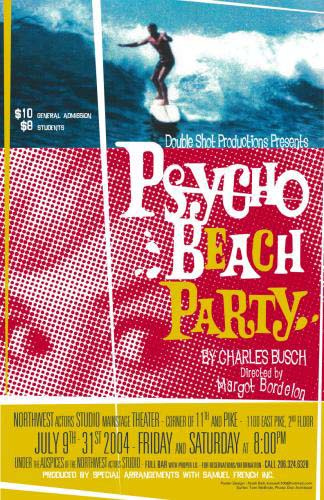 After that they darma and greg their way to a party… a PSYCHO BEACH PARTY. Did these movies leave the team hungry for more or did the totally tubular waves deliver a knarly harsh like bringdown man? laugh, learn and love won’t you? thank you. Slow Robot A Go Go Show 173 – Living Dead and A Blonde Bombshell! Tonight Dr. Morbius (from parts unknown) and mOw go over the movies they watched this week then got to it. First the team entered a castle… OF THE LIVING DEAD! After that they went back to the future of the past in Blonde Comet. Did the team become immortalized in death by Christopher Lee? Did the team fall under the love spell of Virginia Vale? laugh, learn and love won’t you? thank you. 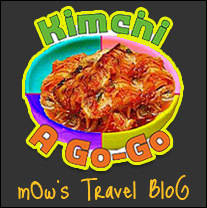 You are currently browsing the Slow Robot A Go Go blog archives for July, 2015.